This review proves that Bitcoin Secret Loophole is a scam that is going to lose your money. It is presented by Steve McKay. Bitcoin Secret Loophole supposedly is a trading software that can make you money with cryptocurrencies. It trades arbitrages and it can allegedly make you over $13,000 in one day. And the software is free! So, is Bitcoin Secret Loophole a real investment opportunity? The unfortunate truth is that Bitcoin Secret Loophole is a dirty scam that not only won’t make you any money, it will lose yours, if you use it. Steve McKay is just a fictitious character created by scammers. This character has already been used by scammers in the Bitcoin Loophole and Bitcoin Code scams. Let’s continue with Bitcoin Secret Loophole user reviews. In the video you will see some stories of people who allegedly make a lot of money with this trading program. But these testimonials are fake. Check the example on our picture, scammers have stolen this photo from a Motortrend review, it has nothing to do with crypto trading. 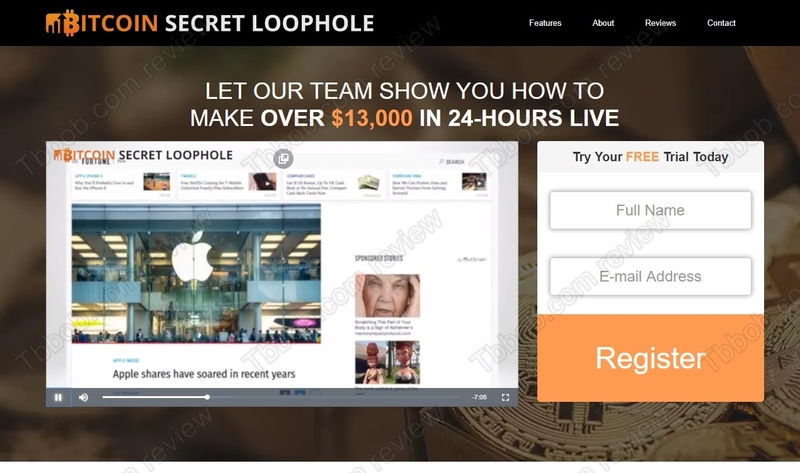 Finally, we tested the Bitcoin Secret Loophole trading software that is supposed to make you rich. What we found is a known scam software that is losing money on a massive scale. We know it, because it has been used by a lot of scams. 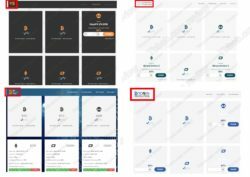 On our picture you will see a comparison and a few examples of other scams based on the same app, like Bit Bubble Tech, Altcoin Trends and Bitcoin Revolution. We get a lot of feedback about it from real users and they confirm that it is losing money! So how does Bitcoin Secret Loophole really work? It is very simple. You see, the software is not free. After registering you will be asked to deposit money with KayaFX, which is an unregulated broker, otherwise your account won’t be activated. And this precisely is how these scammers are earning money, they are referring new depositors to this broker for money. This is why they made up their story about a profitable software, they need you to deposit with their broker, so that they earn their commission. Bitcoin Secret Loophole is a dirty scam that will take your money and lose it with a worthless piece of software. Stay away from it! 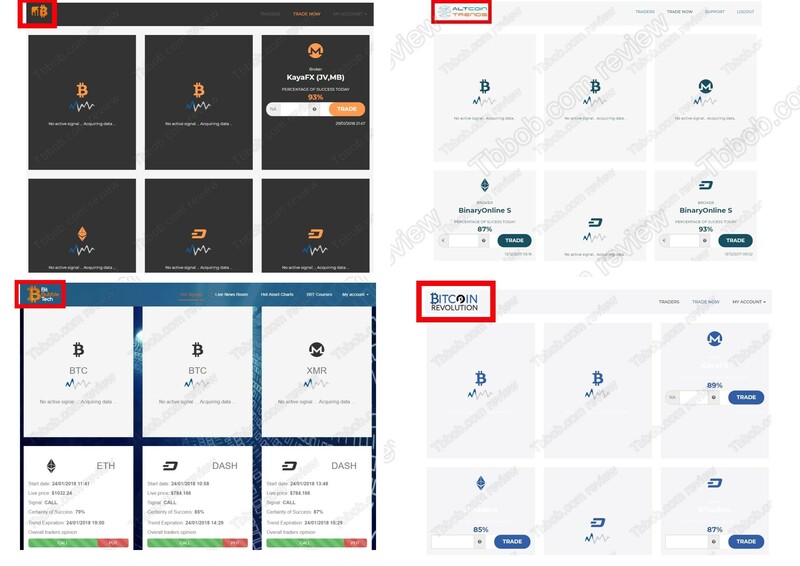 If you want to try cryptocurrency trading to see how money can really be made, do it on a free demo account with a regulated broker. If you then decide to invest real money, be careful, because in trading you can make, but also lose money.